The Feast is a Christian charity working to promote community cohesion between young people of different faiths and cultures. Young people today are growing up in a country surrounded by people who are from many different faith backgrounds, unfortunately they tend to lead separate or parallel lives. As a result young people from different communities can experience barriers of ignorance, fear and mistrust, which sometimes even progresses to hostility or conflict. The Feast is empowering young people to spearhead social change. Exploring faith: young people are encouraged and equipped to discuss their faith or identity in ways which highlight both the similarities and differences between them. Creating friendships: by bringing together young people in a positive and fun environment we provide the opportunities for them to get to know one another, work on projects together and form friendships based on trust and respect. 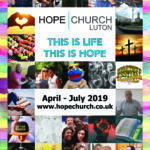 Changing lives: having been to events run by The Feast the young people are challenged and encouraged to live out the lessons they have learnt in their everyday lives amongst their friends, family and the wider community. 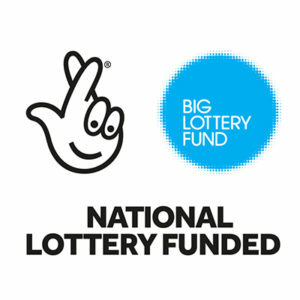 We at Hope Church have received a grant from Big Lottery Fund for a project with the Feast called ‘The Bridge’. This is a pilot project to bring young people from different backgrounds together through activities and workshops which will facilitate sharing in games, food and chat, as well as Encounter Days out together.